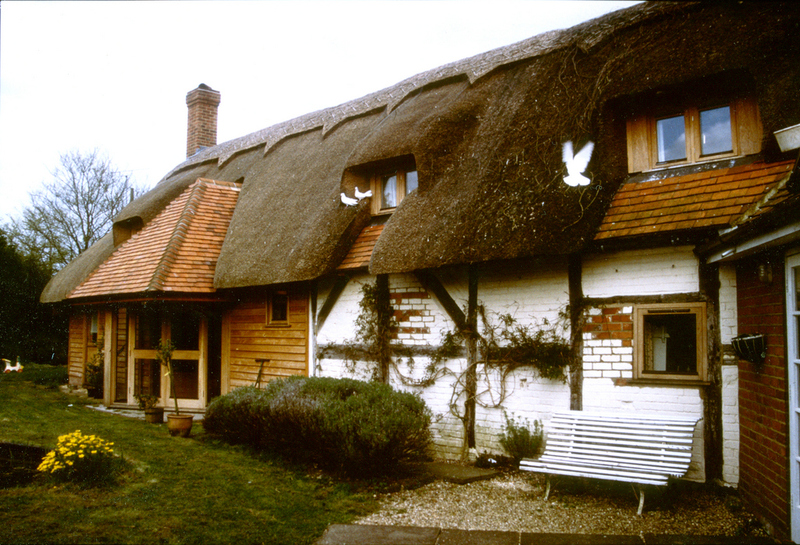 The original project extended this Listed thatched Cottage significantly to create a bigger Living Room and another Bedroom under the roof at First Floor Level. Despite the continuity of the traditional detailing from the road, the garden elevation gave a clue to the underlying modernity of the building which used a system that was new at the time but which now is common. 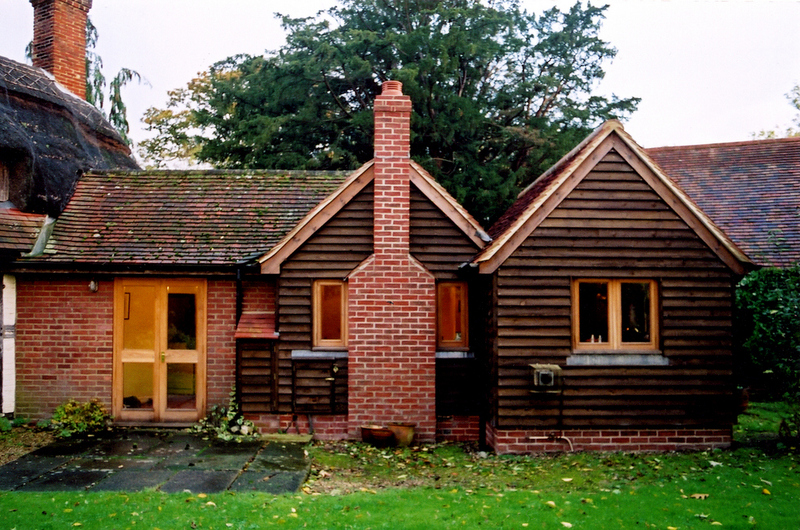 The third project was for an extension to the Kitchen end of the Cottage and incorporated a new Front Entrance. 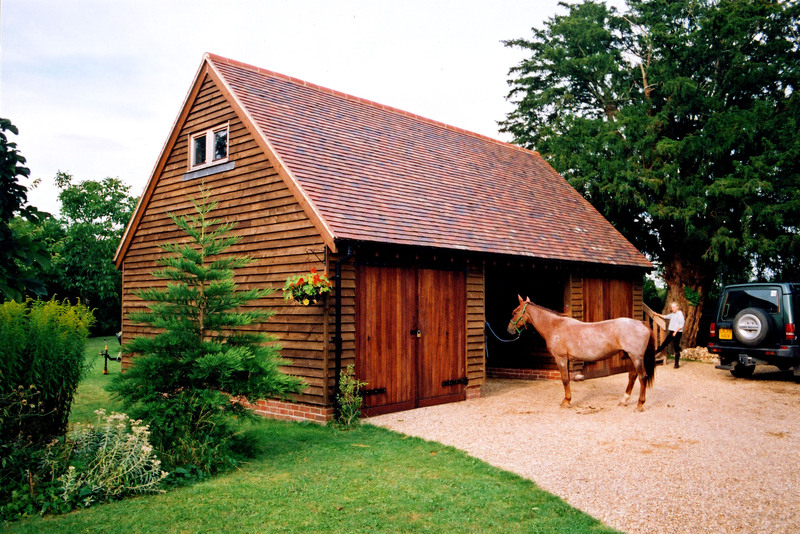 The second project was for a traditional styled stable block for cars with a space over for ancillary storage. The fourth project converted the First Floor space to ancillary domestic accommodation for their older teenage daughter. Together these building projects have been planned to screen the garden visually and acoustically from the very busy road adjacent to the cottage. This has worked well and the garden feels more secluded and enjoyable as a result.